It's time for new resolutions , new adventures and new beginning! 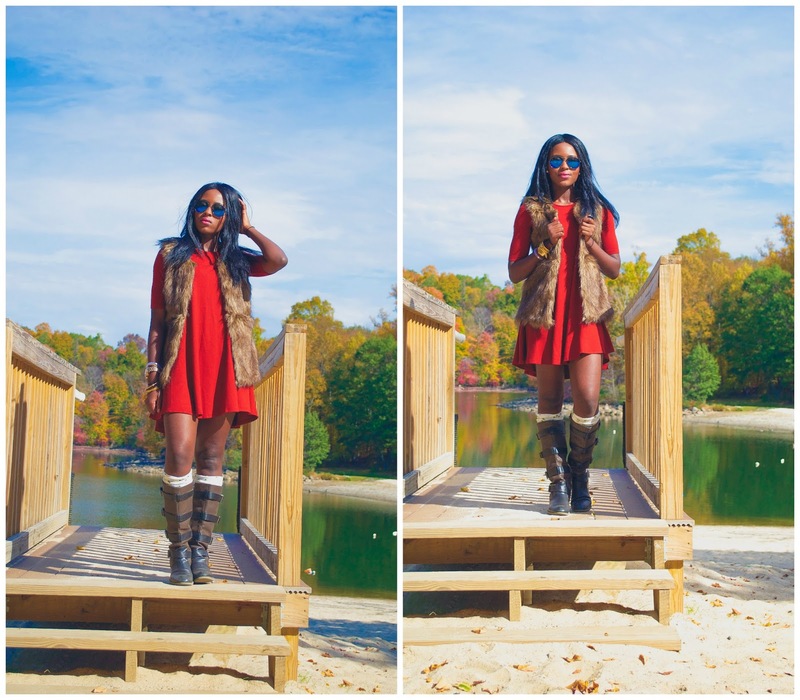 Love your vest and boots! So chic and perfect for fall! This vest is so cute! I love it with the red dress! Love this look, super fall ready . You are gorgeous in red! Love that you paired the dress with some beautiful boots. In love with the color of this dress! So pretty! Gorgeous outfit! The color red looks amazing on you!